The month of May has been great for reading. I feel like I’ve finished tons of books, and I’m well on my way to completing my goal of 52 books this year. I’m actually a lot further ahead than I thought I would be. I recent read all 5 books in The Lunar Chronicles Series. You can read my full review of the series here: The Lunar Chronicles – A Review. I finally finished My Name Escapes Me! 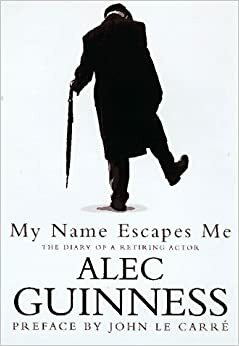 It’s the diary of the actor, Sir Alec Guinness, from January of 1995 to June of 1996. I’m glad to have read the book, but it took ages for me to read. Many of the things that Guinness talks about in the book are things that happened during that time, which being 20 years ago I wasn’t much aware of – I don’t think many people are globally aware at 10. He also used a lot of British terminology. I kept having to look things up to see what he was talking about, particularly when he would mention branded products, which he did surprisingly often. But that might be the same way I refer to facial tissues as Kleenex. It’s not what they’re actually called, but it’s what I refer to it as, regardless of brand. My favorite parts of this book were his reminisces about actors and shows that he had seen earlier in his life. They were always interesting perspectives on theatre and the movie business. It makes me think I might enjoy Guinness’ memoir much more. 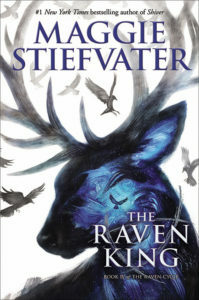 The Raven King is the final book in Maggie Stiefvater’s The Raven Cycle. I was able to get it the first day it came out from my local library, which was amazing. With everything else I had going on, it took me a few days to read, but it was great. I was fully prepared for this book to destroy me emotionally, which it did. Though it did it earlier than I expected. And the ending was good, though it did leave me wanting to know more about the lives of the remaining characters afterward. Maybe someday I’ll get that. But more than likely, it will just be beautiful head cannons from other fans. The Emerald City of Oz is the 6th book in L. Frank Baum’s Oz series. It follows the adventures of Dorothy and her aunt and uncle as they move to Oz, and stop the Nome king from attacking the land of Oz. You could tell by the ending of this book, that Baum really i ntended to end the series with this book, but it obviously wasn’t to be, as he ended up writing a total of 14 canonical books about Oz, along with several other Oz related novels. 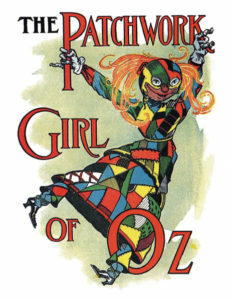 The Patchwork Girl of Oz is the 7th book in L. Frank Baum’s Oz series. And to solve the problem with how he ended his previous novel, blocking access to Oz from the outside world, he starts the book with an authors note about getting information to and from Dorothy by way of wireless telegraph, which was a new invention at the time. The Patchwork Girl of Oz follows the adventures of a boy named Ojo as he travels, with the patchwork girl, on a quest to save his uncle. 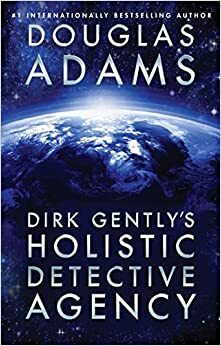 Dirk Gently’s Holistic Detective Agency is a book written by Douglas Adams, better known for his Hitchhiker’s Guide books. Dirk Gently follows a man named Richard, his old college professor, and an old college classmate who goes by Dirk as they try to prove that Richard didn’t kill his boss and save the world in the process. This book is very strange. Many of the first chapters don’t seem related in any way until you reach the end of the book, but that might be part of what makes the book so good. It’s so interesting to see how Adams connects seemingly unrelated items into a complex narrative. The BBC made this series of books into a single season television series in the 2010-2012. I’ve never seen that version, but with BBC America’s plans to create a new version staring Samuel Barnett and Elijah Wood, I thought it was time to read these novels. The Buried Giant by Kazuo Ishiguro is a difficult book to explain. Featuring ogres, dragons, and knights, I was expecting a post-Arthurian fantasy, but that’s not what I discovered. Instead those characters and events were the vehicle for a tale about family and the bonds of true love. This is the first book I’ve read by Ishiguro, but it will not be my last. The Haunted Bridge is the 15th book in the Nancy Drew Series by Carolyn Keen. This particular book follows Nancy and her friends on a trip to a golf resort. While there they work to capture a ring of jewel thieves and get and estranged couple back together, all while Nancy competes in a gold tournament. Needless to say, it’s not very realistic that all these things happen to Nancy and her friends without anyone being killed or seriously injured. But that’s part of the reason I like these books. I always know that nothing bad will happen to them, and they’ll catch the bad guy in the end. Hopefully you’ll see these books in the finished books section next month. Tick-Tock of Oz by L. Frank Baum – Another of the original Oz books. Stars Above by Marissa Meyer – A book of short stories featuring the characters from The Lunar Chronicles. I’ve read quite a few fairy tale retellings this month. Do you enjoy retellings of traditional fairy tales? What’s your favorite? Next → Next post: Bookish Questions – Least favorite genre? I used to love some of the Oz books…there was one where the clockwork man turns up that had a “dinnerpail tree” and a few other great things in it. That’s the one where Dorothy is shipwrecked on her way to Australia. I fondly remember “Beauty” by Robin McKinley. Obviously, a retelling of Beauty and the Beast. Must see if I can find it secondhand. Tried to talk to the secondhand bookshop people yesterday but both employees were so glued to their cellphones they had people waiting and kept making “one second” gestures at us. One of them was standing outside the shop chatting away. DH and I walked out. Maybe some other day. The Oz book you’re thinking of is called Ozma of Oz. I just re-read it recently. But seriously, those employees? How have they not been fired?